I believe that the core skill of a tester is actually that of design. Irrespective of who actually runs or implements a test, a seasoned professional tester will always be able to design the most effective test cases compared to anyone else on the team. 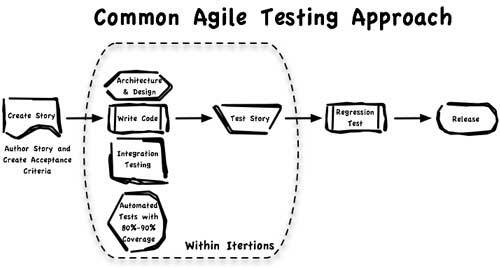 Well-designed tests not only form the foundation for the eventual testing itself but can also provide vital input into the technical design that takes place during sprint planning. When a tester is involved in the design of a user story’s test cases prior to the sprint planning session, I can assure you that the meeting will be a great deal smoother and faster with fewer contentious debates. The main idea between this quote is that the software tester mindset will help the users and developers to see more easily the ambiguity in the requirements definition that become more apparent when you try to test them. This idea is similar to the “three amigos” and “power of three” concepts developed by other proponents of Agile testing that recommend to associated product owners, developers and software testers in the definition and refinement of the user stories. It is the combination of these multiple perspective that helps to refine and validate user stories for the sprints. If you don’t include the software testers in this process, you are missing an important perspective.